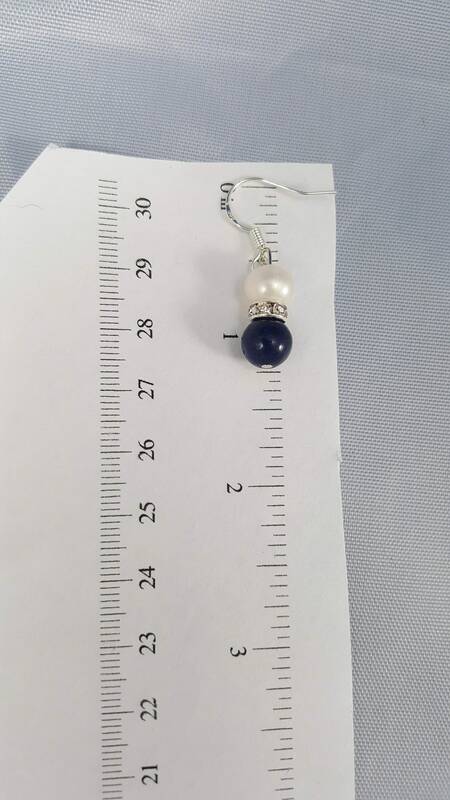 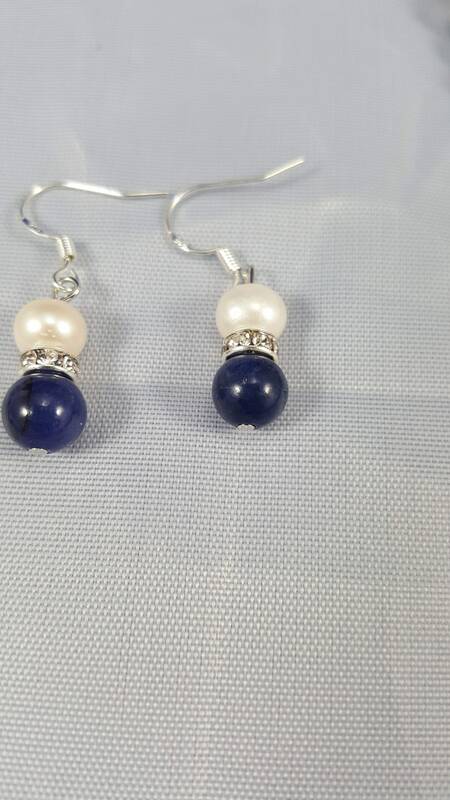 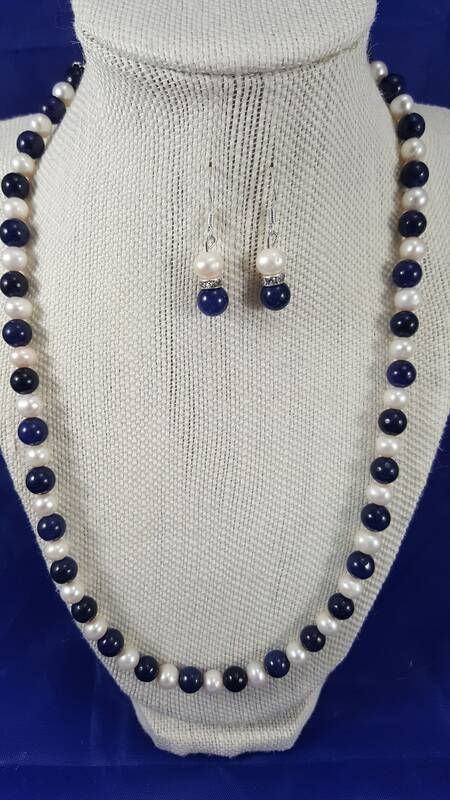 18 Fresh water pearls with premium navy blue glass pearl necklace with matching fish hook earrings for pierced ears. 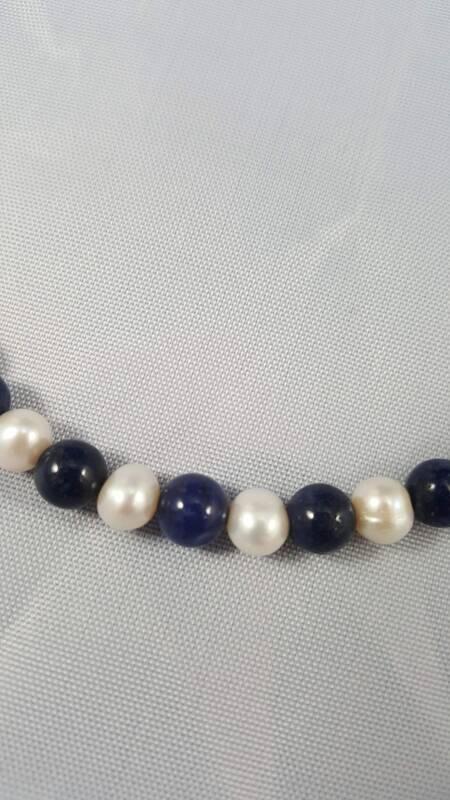 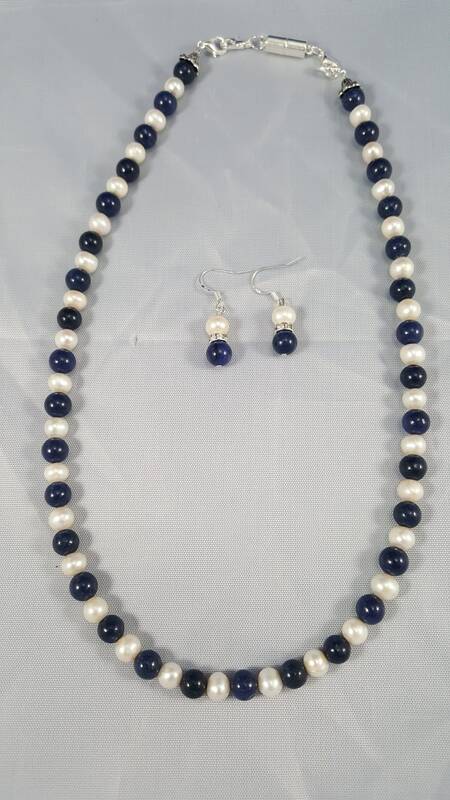 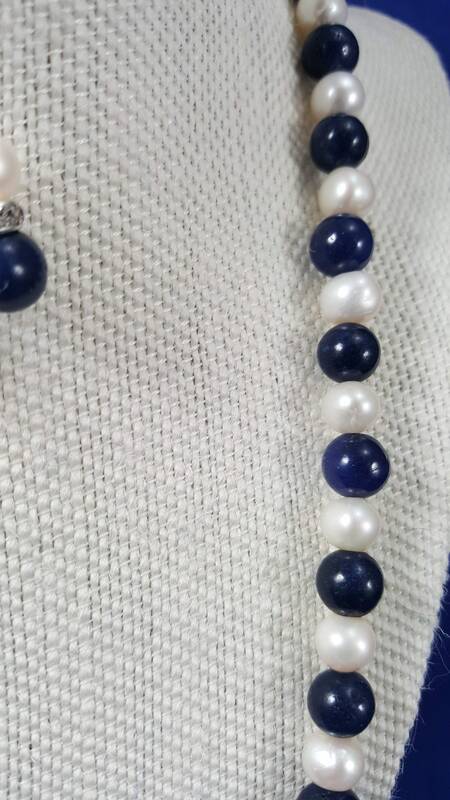 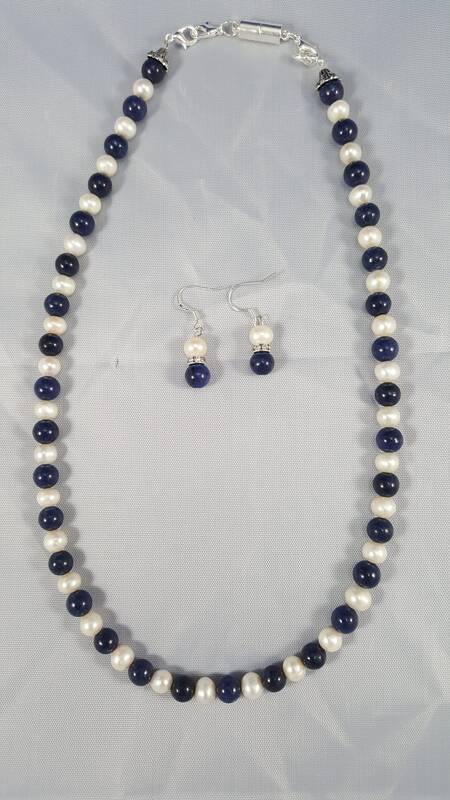 18" Fresh water pearls with premium navy blue glass pearl necklace with matching fish hook earrings for pierced ears. 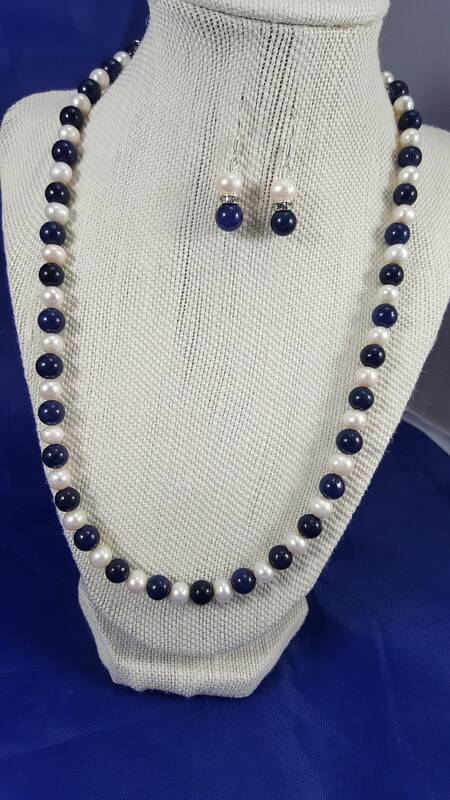 18" Fresh water pearls with premium navy blue glass pearl necklace with matching fish hook earrings for pierced ears. 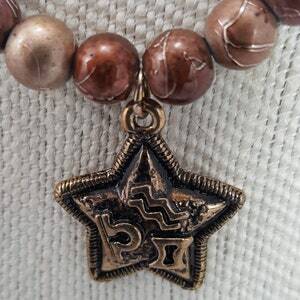 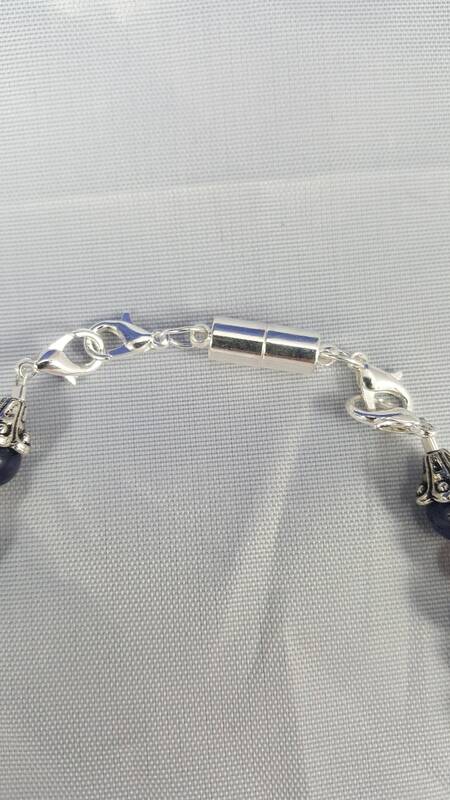 Magnetic clasp along with a lobster clasp so you can choose. 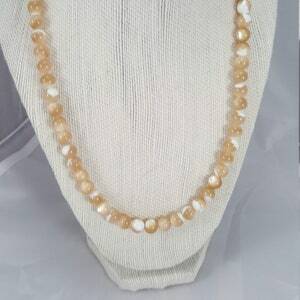 The healing aspects and symbolic meanings of a pearl are numerous: ... Pearls also bring out purity, honesty & integrity, plus feeling of beauty, dignity and calm. 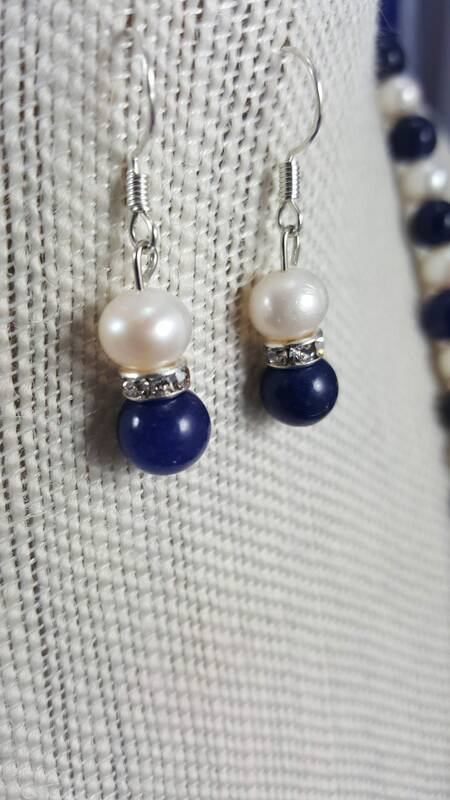 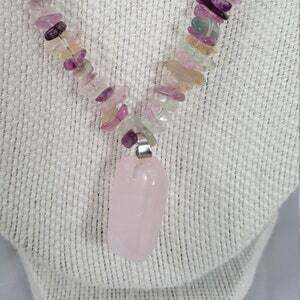 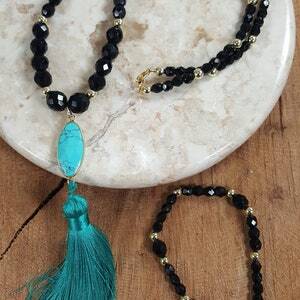 They both symbolize and stimulate femininity, feminine wisdom & charity.